Having run AER turbo engines in 2004, then switched to Judd normally aspirated V8s in 2005, RML will be returning to AER turbo power this year – with the team’s Le Mans winning MG Lola EX264. The team’s chassis is currently being modified by RML to accept the new installation, which will undergo shakedown tests in early March prior to taking part in the Paul Ricard Le Mans Series test. The race debut for the revised car is scheduled for Istanbul on April 9. 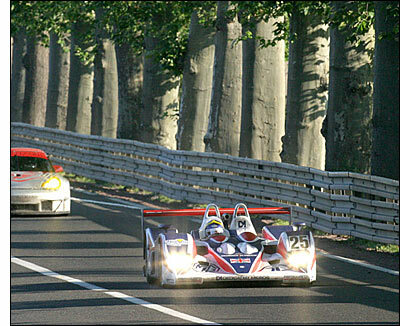 The RML entry was narrowly pipped to the LMP2 title in the 2005 LMES by the AER-powered Chamberlain-Synergy Lola B05/40, but RML took the prize at Le Mans last June. The RML car will again be entered as an MG-Lola EX264, in the same livery as in 2005, with backing from NetVu Connected, Dedicated Micros, RemGuard Visual Management, FlightVu, D-Tec and Altera. Le Mans winners Mike Newton, Tommy Erdos and Warren Hughes are off to Daytona next though, to race in the Rolex 24 in the #51 Cheever Racing Crawford Lexus, with Stefan Johansson.